(Trenton) – The Christie Administration today announced 406 Local Aid grants totaling $86.5 million, enabling cities and towns across the state to advance street, safety and quality-of-life improvements without burdening local property taxpayers. The bulk of the Local Aid grants will be awarded under the Municipal Aid program, with 377 grants totaling $76.2 million. Another 29 Transportation Enhancement grants for quality-of-life, bicycle and pedestrian safety projects totaling $10.3 million were also announced. 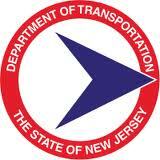 Both grant programs are competitive, with applications rated on their merits by NJDOT and other transportation officials. The grants will provide resources to 382 different municipalities. In most cases the grant recipient is the municipality, but in a few instances the grant will go to a specific organization or other governmental unit advancing a project in one or more municipalities. A total of 660 applications were submitted for this round of state-funded Municipal Aid grants. The Department encouraged municipalities to submit applications for bikeway, pedestrian safety and streetscape projects. Six percent of the projects selected for funding represented such types of projects, with the remaining 94 percent of the grants going toward traditional road improvement projects. The federally funded Transportation Enhancement (TE) program supports projects that preserve and protect natural and cultural resources and promote alternatives to driving. The successful applications advance quality-of-life, bikeway and pedestrian safety projects. A total of 149 TE grant applications were received. Under the Municipal Aid grant program, each county is apportioned a share of the total funding based on population and the number of local centerline miles. Municipalities compete for portions of their county’s share. NJDOT provides 75 percent of the grant amount when a town awards a contract and the remaining 25 percent upon completion of the project.